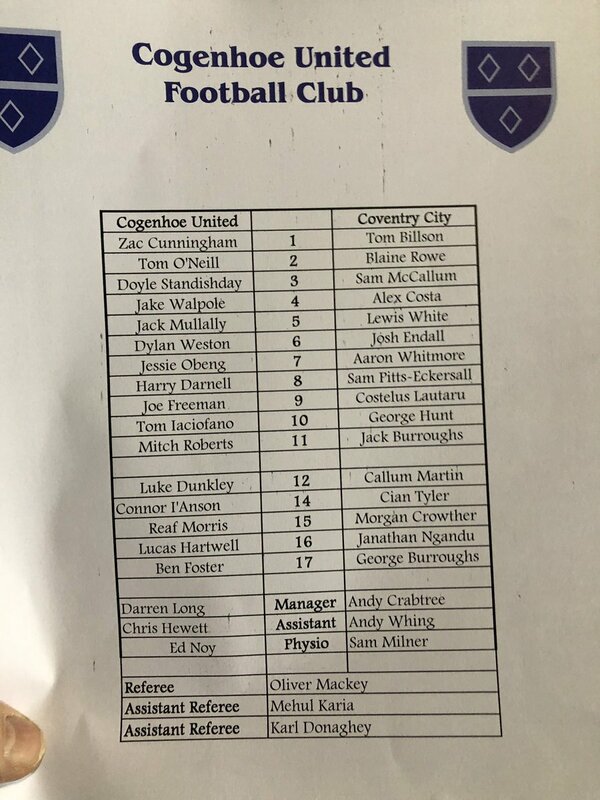 Coventry City are out of the FA Youth Cup. City travelled to Compton Park to face Cogenhoe United for a second round tie. They took the lead in the 32nd minute through Jack Burroughs but conceded a penalty two minutes later and then another goal in the 42nd minute. City sent Sam McCallum on but Cogenhoe had a third in the 74th minute. Blaine Rowe converted a penalty in the 85th minute but it was not enough and City were out.